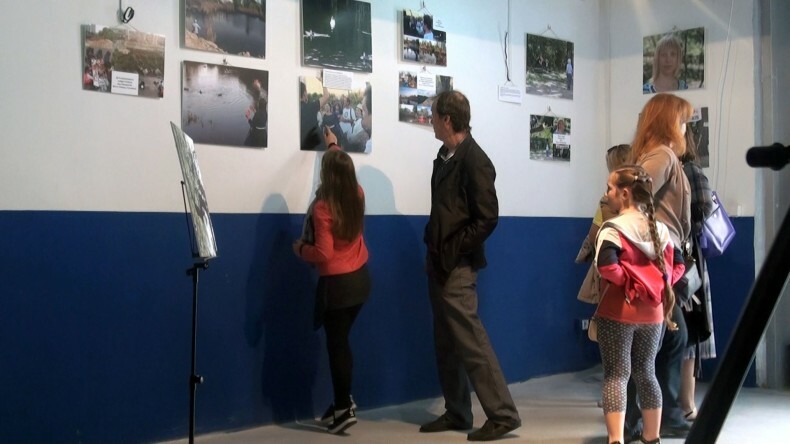 Project “Dumaidan – 2016: preserving green areas in cities and towns” launched the first photo exhibition in Kiev, in the MK House Gallery at the address Bohdan Khmelnytsky 57 B (near University Metro Station). It is planned to show this exhibition in four cities of Ukraine in October-November this year, namely in Lviv, Odesa, Ivano-Frankivsk, Kharkiv and Ternopil. Visitors have seen the best photos of the Kharkiv environmental activist Oleh Perehon, who took part in the protection of local forest park from cutting before Euro-2012; pictures of abandoned parks of Ternopil taken by the environmentalists Oleksandr Stepanenko, stories of the journalist of the Ukrainian Helsinki Human Rights Union Oleh Shynkarenko, and the activists Tamara Harchylava, Nina Suslova and Oleksandr Chebotarev on peaceful protests in Kyiv region, including: protection from cutting the Pirnivskyy ornithological reserve of local importance, protests against filling up the Kachyne Lake, Darnytskyi district of Kyiv and against deforestation of the Chornyi Hay Park in Irpin town. 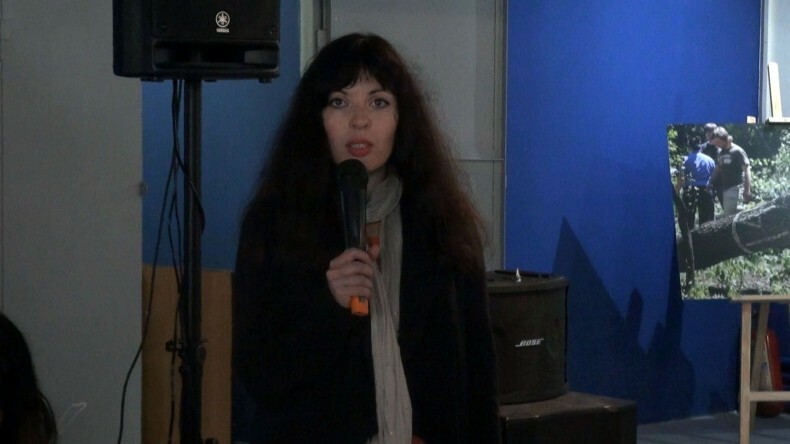 At the opening the environmental activists told the visitors their stories of nature protection. One photo presented the following story: In Spring 2016, the one-year long conflict escalated on the Kachyne Lake in Poznyaky. The Real Estate Developer “Residential Complex “Zhitloinvestbud-UKB” decided to fill up the lake and build a high-rise apartment house. A few months later, the developer went to court and demanded approximately 200 000 hryvnias from environmental activists and residents, because they prevented him from filling up the lake. After this, the project team has expressed their vision of the amendments to the Ukrainian environmental legislation with the possibility to discuss them. Everyone had the opportunity to make some corrections to this document and comment on it. All submissions received will be taken into account when shaping the final version of the amendments. 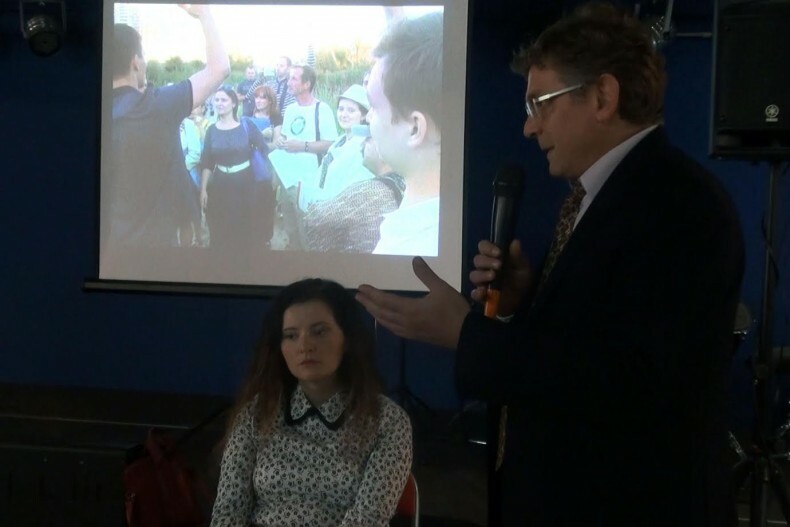 “Dumaidan – 2016: preserving green areas in towns and villages” is being organized by the Ukrainian Helsinki Human Rights Union, the International Charitable Organization “Environment – People – Law”, the NGO Center for Legal and Political Research “SIM”, the Environmental NGO “Green World “, the NGO “Green Front”. They call all concerned to attend the photo exhibition and contribute to the discussion of our initiatives. This project is being implemented with the support of the Swedish International Development Cooperation Agency (Sida) and Global Affairs Canada. 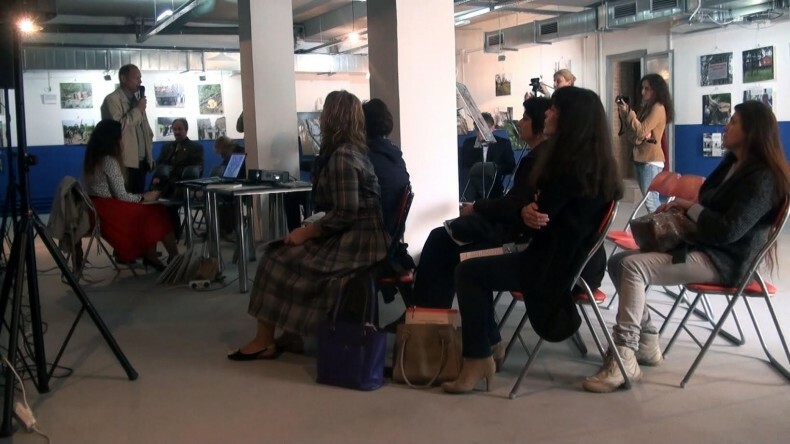 Photo exhibition “Dumaidan – 2016: fotomyti” [Dumaidan-2016: photo-moments] in Kiev is also carried out with the support of the MK House Gallery.